Unaccompanied minors traveling to Europe for protection pose a significant challenge to the authorities. 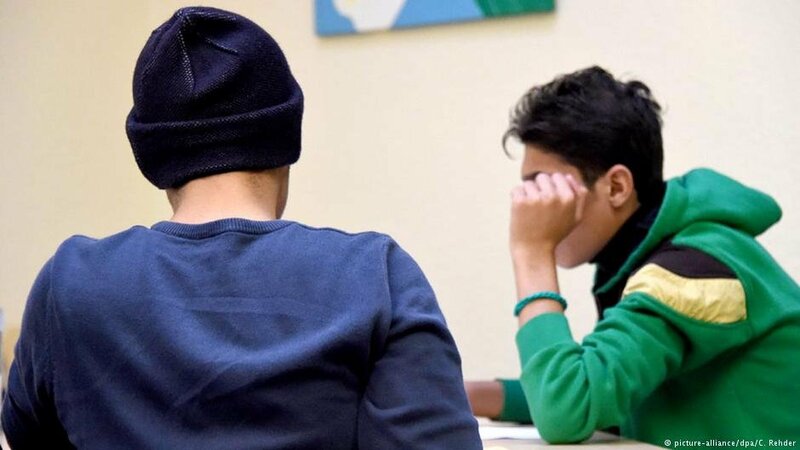 InfoMigrants takes a closer look at the protection mechanism and its shortcomings for underage migrants in Germany. A person is registered as an "unaccompanied minor refugee" if he or she is under the age of 18 and has fled without his or her family. Sometimes minors become separated from other family members while traveling, or it could be that the minor decided to flee his or her country alone. In Germany and other European Union member states, there is a specific procedure for protection for those identified as unaccompanied minors. What happens once someone is identified as an unaccompanied minor? Children in Germany have a right to health and safety. The youth welfare office, the "Jugendamt," is responsible for ensuring this right for all children, including unaccompanied minor refugees. If someone is identified as an unaccompanied minor, the youth welfare office becomes responsible for him or her. First, a caretaker is appointed, who begins by sorting out the immediate accommodation for the child. If the unaccompanied child has relatives in Germany, it might be possible for the minor to be housed with them. Otherwise, the child will be accommodated with a foster family or in an asylum home. This process is called "Inobhutnahme," which means "taking into care." The youth office initiates a clearing procedure ("Clearingverfahren") which works differently in each of the 16 German states. The procedure usually starts with an initial overview, "Erstscreening", which includes a medical examination and some tests for age assessment. The methods that are used range from a simple examination to X-raying the wrist, jaw or collarbone. The youth welfare office also estimates whether the implementation of the subsequent distribution procedure might endanger the child's best interests in physical or psychological terms. All this happens in the first fourteen days after an individual is recognized as a minor. After that, the child will be transferred to another state. During the clearing process, the Foreigners' Registration Office ("Ausländerbehörde") clarifies the residency status. What are the next steps in the distribution? Children and juveniles become the responsibility of the youth welfare officials to which they have been assigned. The next step is to apply for guardianship. Meanwhile, further medical tests are performed and other factors such as the need for education, need for language training and residency status are determined. As a next step, a guardian is appointed for the unaccompanied minor. The decision about who will assume guardianship is taken by the family court. Guardianship lasts until the person reaches the age of majority, according to laws in the minor's country of origin and not according to German law. It means that if the minor does not attain the age of majority under this law until after 18 (as is the case in Togo where the age of majority is reached at 21), the guardianship also does not end until this time. The subsequent clearing procedure includes clarifying the residency status. This is the basis on which a decision is made about whether an asylum application will be lodged. If an application is found to be weak, the immigration authority may issue a temporary suspension of deportation ("Duldung"). If this is not possible, the authorities will discuss what other possibilities are available. If an asylum application is to be lodged, the Federal Office is responsible for the implementation of the asylum procedure. German laws are applied when determining the age of majority in the asylum application. This means that once a person has reached the age of 18, an asylum seeker must lodge his or her own asylum application. This is regardless of the laws in their country of origin. The guardian can continue to assist the asylum seeker in this case. If the application is lodged by a guardian, a "certificate of appointment" ("Bestallungsurkunde") needs to be provided. Unaccompanied minors are regarded as vulnerable individuals. This ensures special guarantees for them in the asylum procedure. Their applications are evaluated by special commissioned officers, who are trained in taking a sensitive approach. The interviews only take place with a guardian present. As well, an additional advisor can attend the interviews. The latter is permitted to make statements during the interview or address questions to the unaccompanied minor which are relevant to the asylum application. Emphasis is also placed on determining whether there are indications of any child-specific grounds for fleeing. These may include genital mutilation, forced marriage, domestic violence, trafficking, or forced recruitment as a child soldier. The decision is taken on the basis of the interview and the guardian is later notified of the decision. 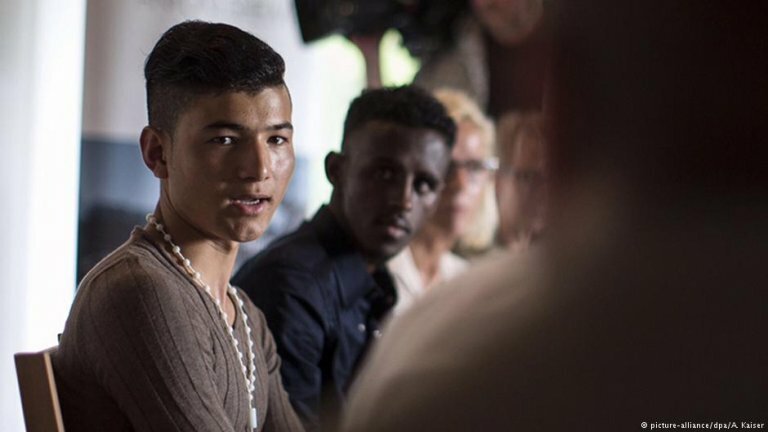 Is the situation of unaccompanied children in Germany satisfactory? The Program Manager at Save the Children in Germany, Desirée Weber, told InfoMigrants that the situation regarding unaccompanied children is not entirely satisfactory. "There are major protection gaps for this vulnerable group of children and numerous children's rights are violated," Weber said. She added that some children are never identified as unaccompanied minors and become victims of human trafficking, criminal groups or simply do not get the care they need. She believes that due to incorrect age determination, some of the children end up in large reception centers without any special protection. Weber also said that her NGO is particularly concerned about the situation of family reunion in Germany. She also pointed out that it is a difficult to identify unaccompanied minors and there is no regulated procedure in place for the purpose. "Even a good system of identification cannot ensure that every child at risk could be identified," she added. Save the Children has also called for child-friendly and age-sensitive assessment tests to be conducted by trained staff, as the use of medical procedures can be very intrusive.